Later that afternoon, more people arrived exclusively to check out a very cool demo of a Phenom desktop Scanning Electron Microscope (SEM)! What can a SEM do? 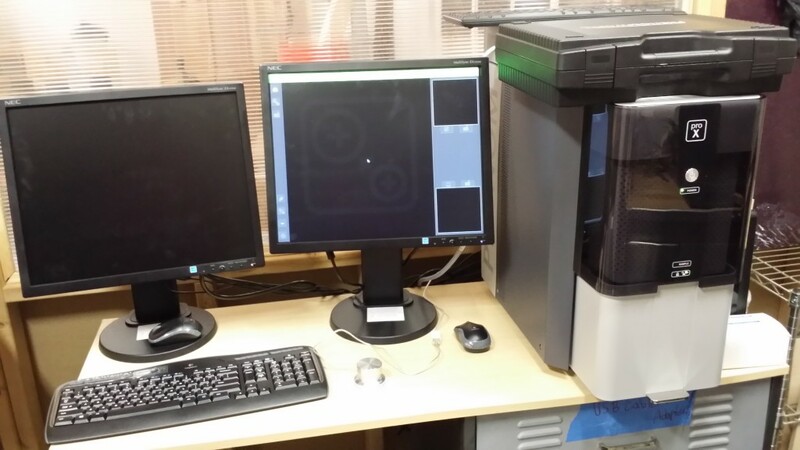 SEMs are widely used in industry, from research to quality purposes, such as monitoring the quality of laser cuts, PCB solder accuracy, or even the composition of metals. One can also determine the elemental makeup of a sample using elemental analysis. 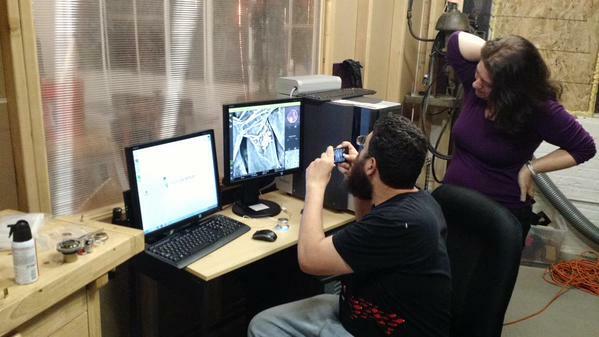 What’s that you’re scanning there??? 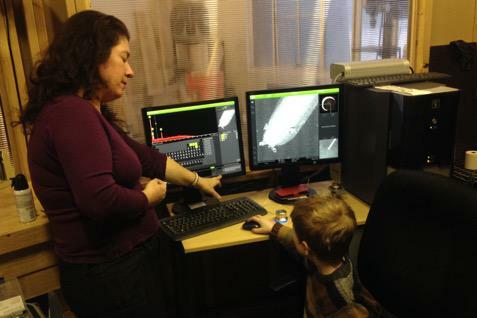 A big THANK YOU to Dr. Diane Hickey-Davis, who was gracious enough to bring her SEM over and allow us to test it out! If you are interested in learning more about SEMs and have a question to ask, you can contact Dr. Hickey-Davis at dianehickey@gmail.com. We will be looking to make the gaming day a quarterly event, so think of what games you want to play, and keep an eye out for the next event! MAKE! Magazine came to visit blizzardy Chicago all the way from California!They attended the American Library Association Midwinter Meeting to promote Maker Camp and Make: Books. SSH:C Members had a fun time connecting with MAKE representatives, local makers, librarians and other conference attendees at Temple Gallery where we discussed our plans for the coming year. 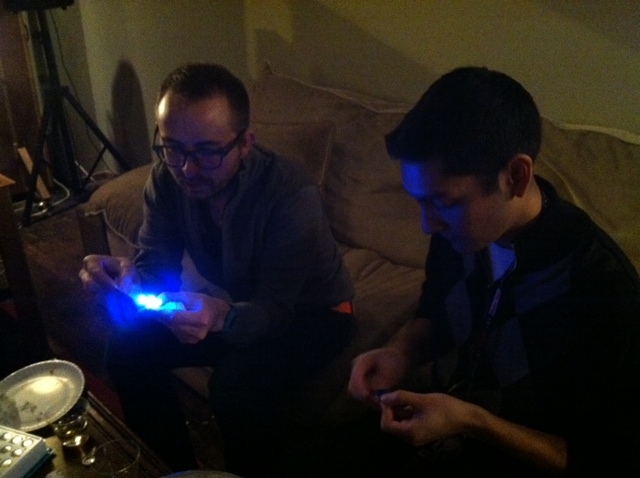 On top of that, we were able to see a fresh design for a 3D Printer by Paul Kim of inbox3D and played with LEDs. Overall a really fun time! We hope to collaborate with Make Magazine again soon!!! Shawn and I dug up a sweet Sega CD in some of the electronics we have! The only problem is…. just that. It was only the console: no power supply, no A/V cables, no enhanced abilities, no physical mutations, no nothing! Being the hackers we are, we immediately went forth performing some electronics wizbiz. What a party! It was absolutely fantastic to see so many of our friends, family, and supporters. 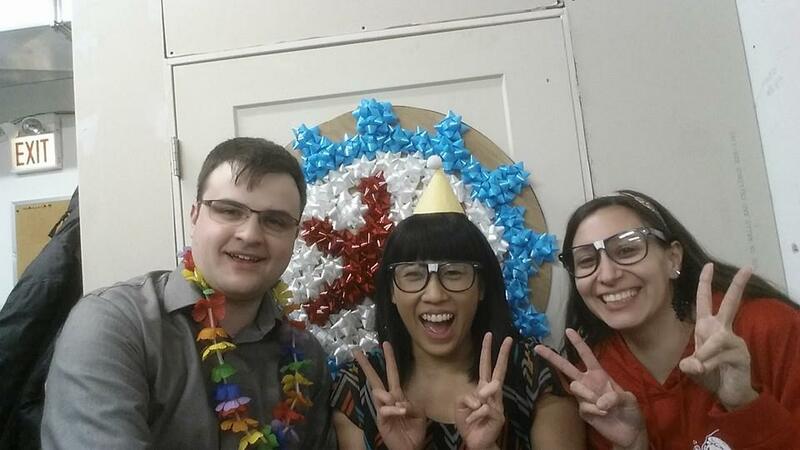 It was a night full of mingling, brainstorming, and tea!–and a selfie stick. Mike Davis of ScienceFIST started the night of demos off with a bang! Well, more of a VROOOShFFMMFMM. But ya know. See his video here. 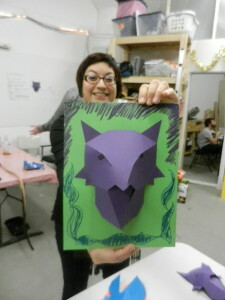 Our super buddy, Sasha Neri, from the Chicago Public Library’s MakerLab showed us some awesome paper craft fun! 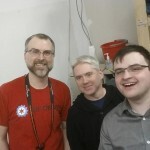 Dan Meyer from the MSI’s FabLab and fellow member of SSH:C showed off his tri-copter! It flew. It conquered. It was so powerful, it blew away napkins and could probably have taken off some eyebrows. Not gonna lie, I was a little terrified. In this video he describes the process. Justin Buschnyj & Martin Rivera from Working Bikes rocked their demo. They taught us that we could turn some old tires into sweet swag. Rock that belt, yo! 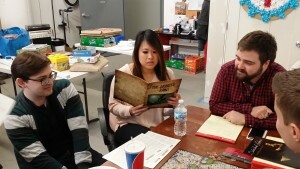 The powerhouse known as Christina Pei of TOOOL walked us through some basic lockpicking! I was sad that I didn’t get to participate as much in the demos myself, and it sounds kind of strange, but hearing everyone around me have such a good time was worth it. Everyone was laughing and sharing stories. It was fantastic to see how far the space has come and show off our new members. Looking back on the footage from the night, I think the best was the video from Dan’s drone checking all of us out. The sheer awe and the relentless smiles in that room reminded me how thankful I am to be part of such a brilliant community. Happy new year from SSH:C!! For more photos, check out our FB album. For a timelapse of the party, check out our YouTube channel. We had a rockin’ time at C2E2 helping out our fellow makers from South Florida with their 3D Printing business called Zero Point 3D! Check out our FB album here! These guys hacked some cool tech together in order to scan people on a rotating platform and create ceramic 3D-printed model figurines of them! Neat huh? Check out their FB page and website for more info. 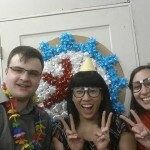 Cryptoparty is a worldwide movement organizing events to educate users how to use cryptography. We’ve had two in quick succession at SSH with great turnout and they’ve been a lot of fun! The motivation is to empower regular people to protect their private data in an era of widespread surveillance. There are many tools available to do this – some more user friendly than others – and these events provide a forum for technical folks to come together and help those who are interested in learning how to keep themselves and their data safe. 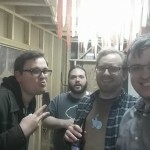 The March Cryptoparty focused on setting up PGP for email encryption, and the April one focused on using Tor for anonymous web browsing as well as using Off-the-Record (OTR) messaging for encrypted instant messaging using XMPP/Jabber. In April, we split things up into two sessions: a session for absolute beginners where even the word encryption is explained, and a session for those who have more exposure to cryptography. For the inaugural advanced session, Eric gave a nice talk on the mathematical assumptions behind public key cryptography. Mason also showed us what data an attacker could gather by exploiting the recent OpenSSL Heartbleed bug on a VM set up in the space. 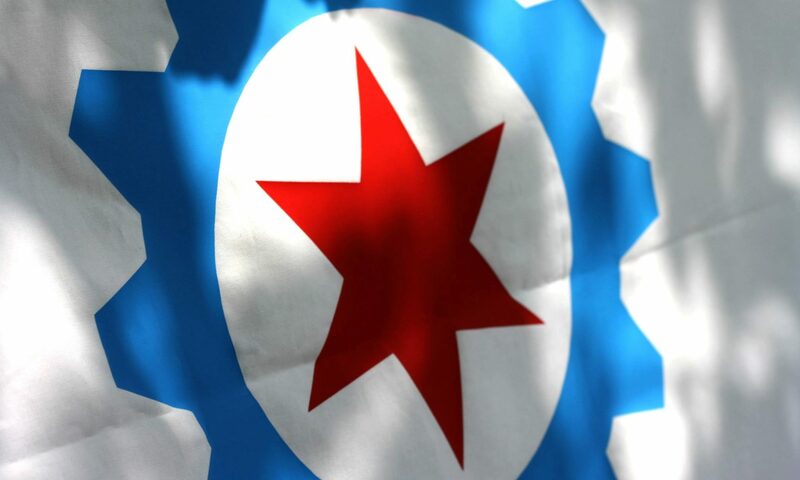 You can follow @Cryptopartychi on twitter to get notifications of upcoming cryptoparties, as well as check out the Cryptoparty wiki page at http://wiki.sshchicago.org/wiki/Cryptoparty. 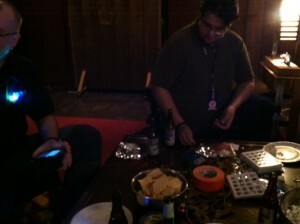 We plan on having another Cryptoparty at SSH in July. If you’d like to be involved in organizing Cryptoparty, that’s great! If you know how to use the most commonly taught tools – PGP/OTR/Tor – and would like to help teach during the workshop time at Cryptoparty, just come to the events and your assistance would be much appreciated. If you have more knowledge about a particular area (e.g. cryptocurrencies, etc.) and would like to give a 20-30 minute talk telling us about it, please email jen@redshiftzero.com. Update: Our Indiegogo Campaign has been done for a while now. Thanks to everyone for helping us out! Emailing friends and family, contacting local papers and university organizations, and watching the money trickle bit by bit in is much harder! Of course we appreciate every single donation, not only monetary, but from those who volunteered to give us their helping hands to construct the space once we get the supplies (thank you Redditors!!). Progress is progress though, and as of today we’ve hit $1,418 in donations. That’s 20.26% funded! With over a month til the end, it seems like a long way off, but the goal is $7000!!! So yep, we’re going to keep chugging! A few days ago we held a soldering tutorial in conjunction with the Chicago Public Library. 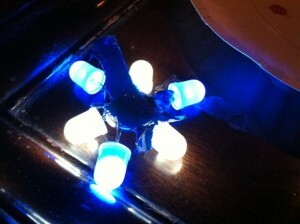 I led the event, buoyed by over a decade of knowledge in how not to solder and a few years of actual decent soldering. Soldering is the art and science of joining metal to metal with the help of more metal. (It’s pretty metal.) The project I chose was the Digistump Digispark, a small USB-powered arduino-compatible board with limited I/O for people who don’t need the whole kitchen sink the Arduino drags along with it. 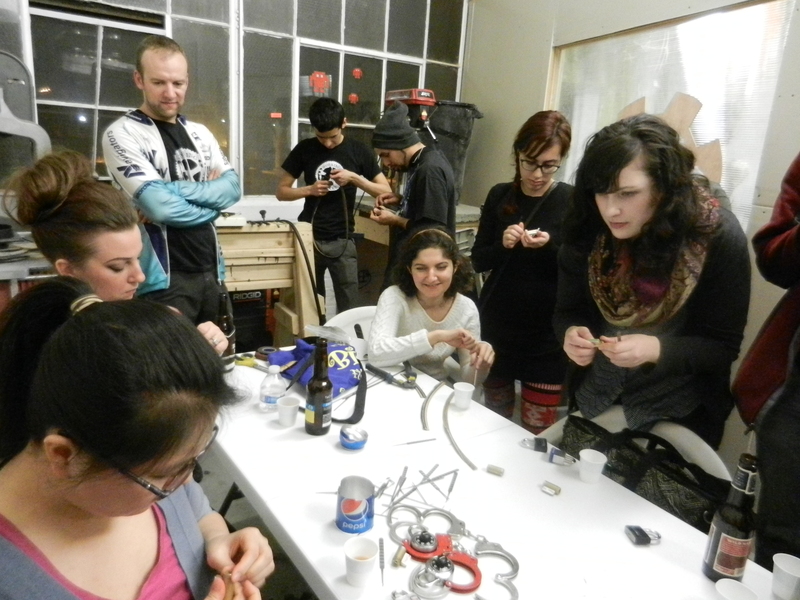 CPL provided eight soldering irons, and generous members bought a bunch for the space so we’d have 20 total to match the expected number of attendees. The project seemed, from my point of view, juuuust on the cusp of what a newcomer could successfully build while still being useful for them for future experimentation. I’m not a huge fan of ‘blinkies’ and other kits that teach someone to solder but don’t leave them with anything beyond a trophy that will eventually make its way into a landfill, so the possibility for a project that would both exercise a newcomer’s ability to solder and provide future utility was too nice to pass up. I placed the order for the Digisparks directly from Digistump, and it sparked a pretty nice email chain between the head of the company, Eric, and me. The kits arrived the day before the event, no fault of Digistump’s (sometimes stuff just misses a truck between USPS sorting centers) and I got to the space bright and early Saturday morning, inventoried the kits to make sure we had enough for the attendees to build, and set about rearranging the main space into a nice teaching setup. People trickled in about ten minutes before the event technically started, which is always a good sign! Jessica graciously volunteered to go out front and help guide people to our back-of-building entrance while we printed out additional signs and hung them up to help newcomers find the space. The most important slide showed examples of “good” and “bad” solder joints. After everyone received their kits, Dmitriy and Brian and I, walked table to table and helped people through the assembly process. 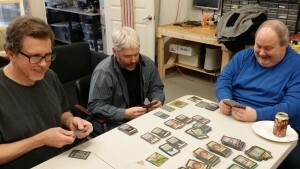 It was great to see the participants encouraging one another and being incredibly patient. How to throw a party in three easy steps. Invite Friends & Family. Invite everyone! Ryan and I started off the day by making sure everything was as clean as it could be (Let’s be honest now; It’s a hackerspace so there is a certain level of messiness that is considered “the aesthetic”). We arranged the tables and decorated. A trip to Costco and quasi-effective signage were made by our valiant board and significant others while I furiously finished reviewing the FB Page, event page, and Indiegogo Campaign. 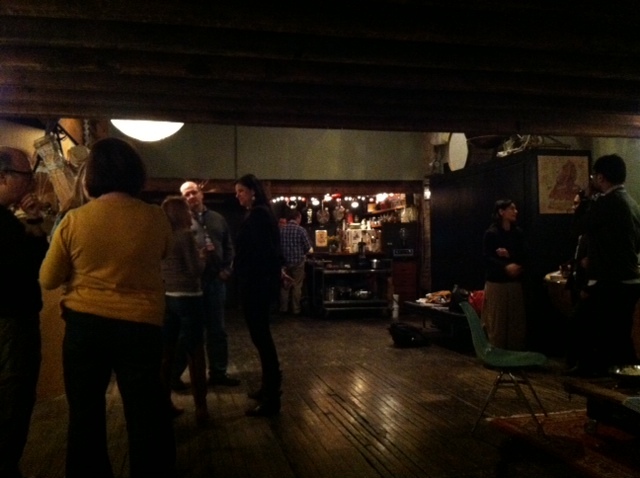 We set up the food, music, and most importantly—tea! And wow, what a turnout! People kept pouring in and we kept the tea hot. Brian, Matt, and I were delighted to discover that everybody enjoyed at least one cup throughout the duration of the evening. After a fun lock picking demonstration by our good friends TOOOL, and the mesmerizing power of our 3d Printer, it was time to cut the cake! Celebrating your birthday is one thing, but toasting future success even better! We had the honour of launching our Indiegogo campaign with our friends, family, and future hackers. The goal: $7000 dollars to help finish the space and buy the tools/safeguards we need to make ourselves 100% operational! Led by a fantastic drumroll, we hit the big FUND button and watched the donations roll in! In the first night alone (~3 hours since it was already 9:30), we raised over $100! When I lived in Atlanta, I had my TV mounted to the wall of my living room. When I moved up to Chicago, I discovered that I had thrown away the actual TV stand. My girlfriend suggested that, rather than keeping the TV on top of a stack of cardboard boxes, why don’t I go down to the hackerspace and make a stand? So, I did. 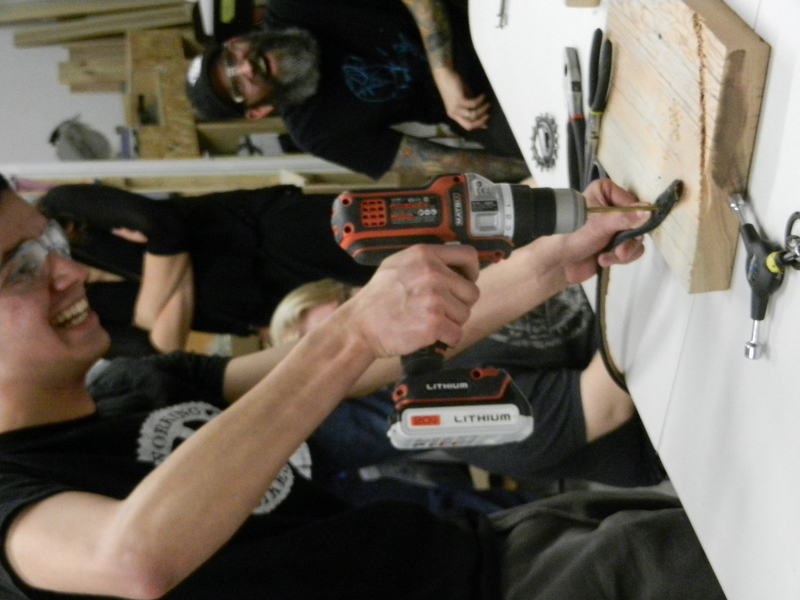 I started with an 4×8 foot sheet of MDF, which Matt helped me break down on the table saw into two 3×3 foot pieces. I then thought about it for a minute, and realized I only needed one 3×3 foot piece, and kicked myself for buying a ton of extra MDF. I split one 3×3 foot piece in half diagonally, to form two triangles. I traced a rough idea for a TV stand onto those triangles, and cut them out with the band saw. Finally, I joined them with some piano hinge. I plan to return tonight to paint them. After that, I had some time on my hands and some scrap lumber, and a metal stand with nothing going on up top, so I decided to make it into a work table. I attached two scrap 2x4s to the metal stand using wood screws and some chunks of scrap on the bottom of the metal stand to receive them, then I made a table top out of scrap 2×6 that I oriented orthoganally to the 2x4s. I used the little bench to cut up some drywall, and it worked like a charm!